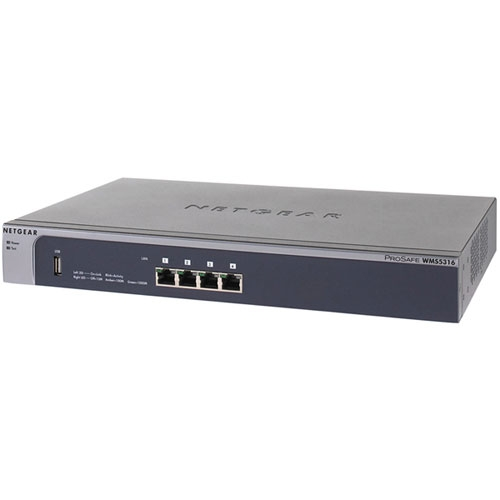 The NETGEAR ProSafe 16-AP Wireless Management System is an easy to use appliance to simplify the set up and management of wireless networks. Supporting up to 16 access points, the WMS5316 Wireless Management System provides a single location to configure and manage the entire wireless network. Designed for growing companies who don't want the complexity and cost of full wireless controllers, the WMS5316 Wireless Management System delivers centralized management, load balancing, RF management, and guest access via an intuitive interface. Priced far below a full wireless controller, the WMS5316 Wireless Management System provides significant time savings and simplifies the deployment and management of a wireless network.